NEW YORK — The president of Brazil may not be a welcome guest in New York — at least, not at one event. Mayor Bill de Blasio and some museum staff members are demanding he stay away because Bolsonaro favors mining in Brazil's Amazon rainforest, as well as logging and fossil fuel exploration. Opponents say the New York scientific institution dedicated to preserving nature should not allow such a politician to appear there. 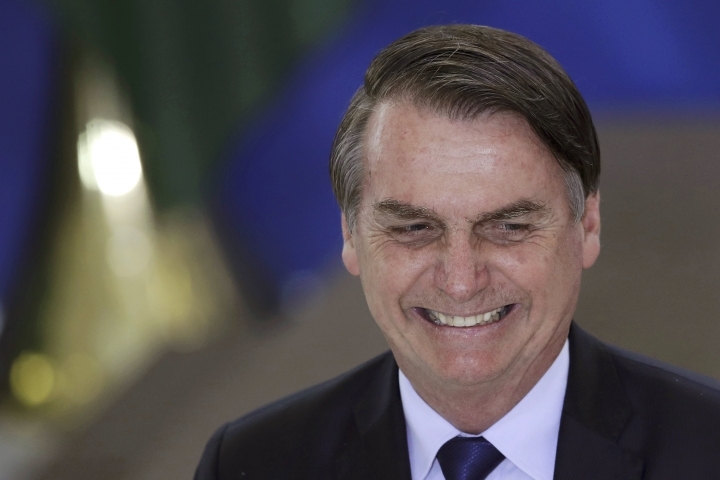 The museum on Manhattan's West Side had agreed to the dinner booking before the New York-based Brazilian business organization invited Bolsonaro. Given the space-leasing contract, the museum said in a tweet that it is "deeply concerned" and exploring its legal options. Speaking on WNYC radio Friday, the New York mayor called Bolsonaro "a very dangerous human being because, unfortunately, he is the person with the most ability to impact what happens to the Amazon going forward." In a statement, the museum said the event "does not in any way reflect the museum's position that there is an urgent need to conserve the Amazon rainforest, which has such profound implications for biological diversity, indigenous communities, climate change, and the future health of our planet."